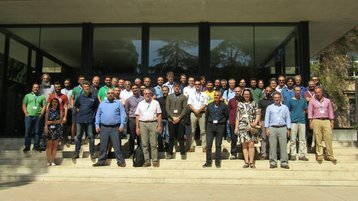 A consortium of 16 European organizations will receive €20m in funding from the European Union to build the world’s first exascale computer system. Meanwhile, China and America have begun their own exascale efforts. The EuroEXA project will be built by teams from the UK, Greece, Spain, Belgium, Sweden, Netherlands, Italy and Germany and made available to scientific communities, industry and public sector members throughout the EU – and possibly beyond, given Britain’s involvement, and its imminent departure from the European Union. The system will be used in applications such as climatology, meteorology and bioinformatics. The organizations were selected through a competitive process based on the technologies and capabilities they could bring to the project, and are as follows: from the UK, ARM,The University of Manchester, the Hartree Centre of STFC in Warrington, Iceotope, Maxeler Technologies, and the European Centre for medium-range weather forecasts (ECMWF); Fraunhofer Institute from Germany; Neurasmus of France; Italy’s National Institute for Nuclear Physics (INFN); ZeroPoint Technologies of Sweden, IMEC in Belgium; the Barcelona Supercomputing Center (BSC) in Spain; and from Greece, the Institute of Communication and Computer Systems (ICCS) in Athens, Synelixis Solutions and the Foundation for Research and Technology Hellas. The project will be funded under the EU’s program for research and innovation, Horizon 2020, and specifically the budget for the co-design of HPC systems and applications, which is shared by DEEP-EST, a project which aims to develop modular supercomputer architecture (MSA) prototype. EuroEXA’s objectives include developing and deploying an ARM Cortex technology processing system with acceleration from Xilinx Ultrascale and FPGA, reaching peta-flop level by 2020, and using this deploy an exascale system between 2022 and 2023. “On average cabinets in a data center fit about 5kW, we’ve actually managed to fit about 200kW per cabinet.” Counterintuitively, he says this was achieved by reducing the size of the cabinet. However, the EU is far from alone in its endeavor to become the owner of the world’s first supercomputer. China is seeking out a contender to build exascale prototypes, which it says it will use to pursue its maritime expansion. Meanwhile, in America, The DoE is awarding $258 million in HPC funding to six companies as part of its Exascale Computing Project (ECP), and the Oak Ridge National Laboratory (ORNL) is building a 10MW system which will likely become the world’s most powerful supercomputer and, last year, it formed the the Accelerated Data Analytics and Computing (ADAC) institute with the Tokyo Institute of Technology and the Swiss Federal Institute of Technology, and the consortium will work together, pooling aspects of their knowledge to improve HPC research.